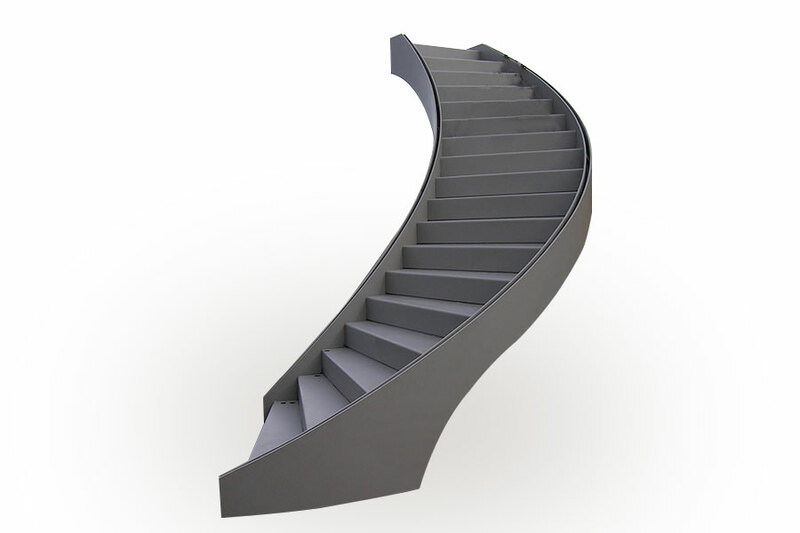 When considering the designing and making of an elliptical staircase, where do you start? Creative Castings naturally. 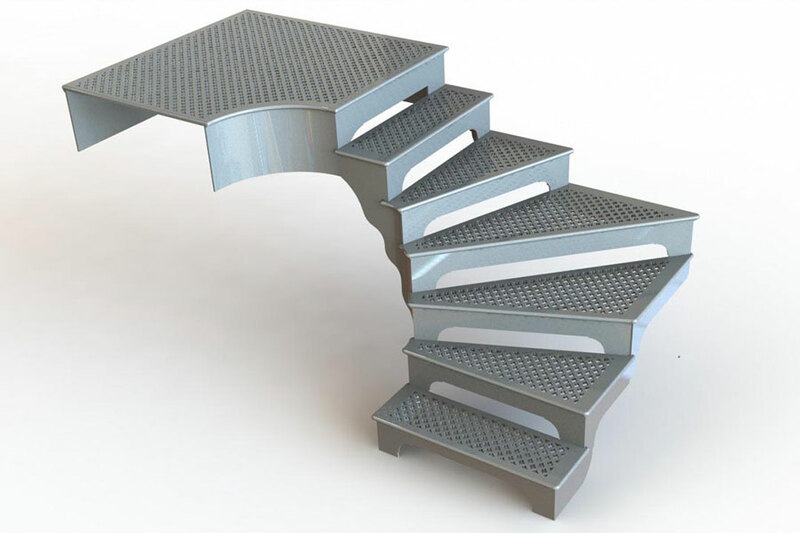 We have an extensive range of cast treads for the traditionalist or we can supply laser cut treads to any pattern for the more modern requirement. Even treads that receive inserts of stone, timber and glass are available. 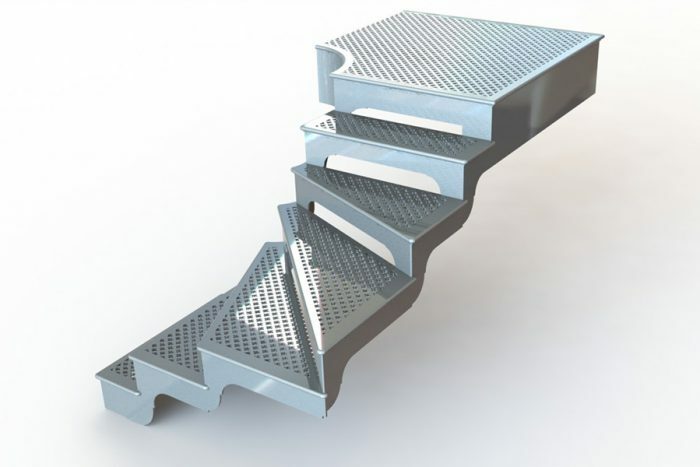 We can quote you to design and manufacture the entire carcass to your specification, complete with structural calculations, or we can supply all the steel laser cut components and cast treads, and even the balustrade delivered in the same package ready for welding. 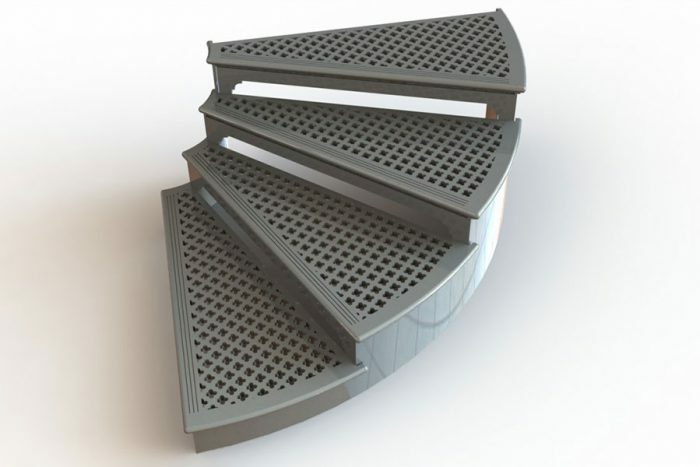 We have the largest range of Quatrefoil Pattern Elliptical cast treads. 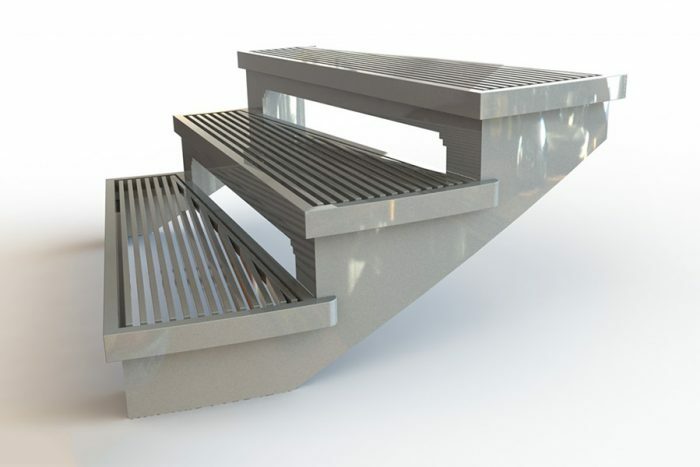 We also have them to receive glass – stone – timber insert. Other options include the cost-effective laser cut option to a pattern of your choice from traditional to the ultra-modern. Timber treads, all options are available with fully closed risers. These castings are suitable to create either your complete tighter turning staircase or act as the radiused kited treads in your straight stairs project. Please speak to our technical support to discuss your requirements. Always another hard find when trying to match with straight flights, we have a comprehensive range of both in most sizes clock and anticlockwise. 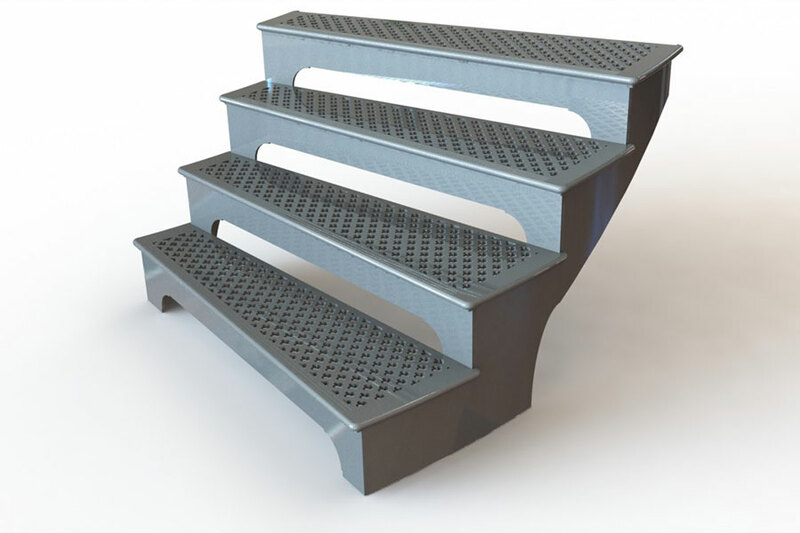 For the modern concepts, the laser cut option is the more cost effective plus there are many design options. 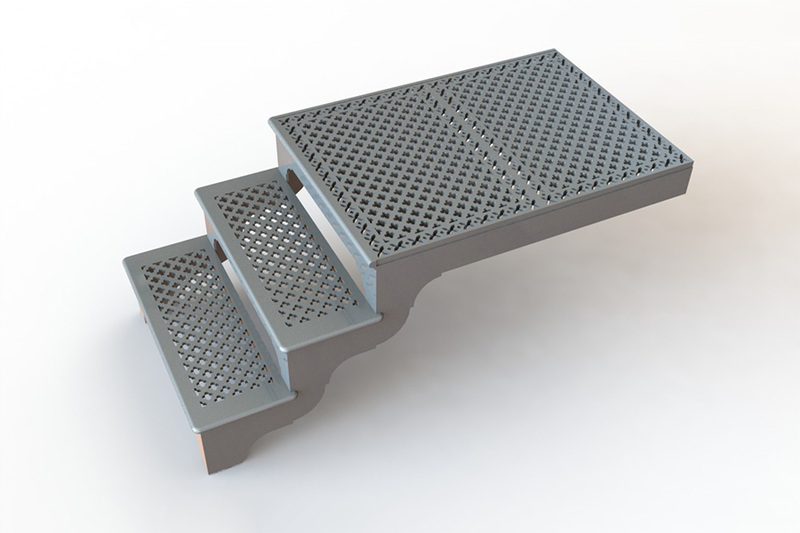 Castings for intermediate and ground floor landings. The most comprehensive module range available in the industry, in two styles; Quatrefoil and Scroll. 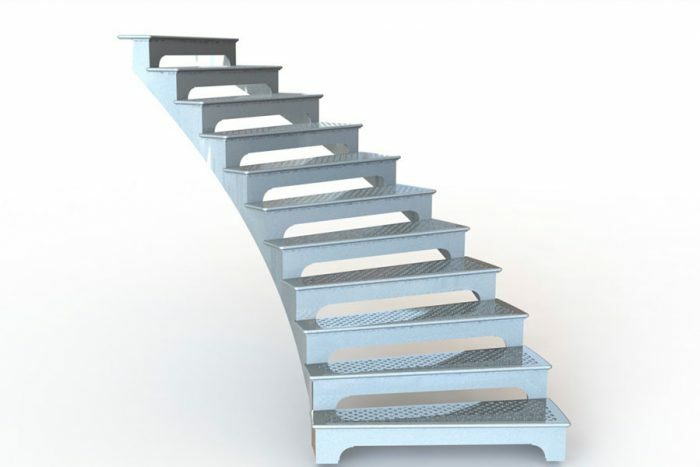 The laser option is available for the more modern designs.